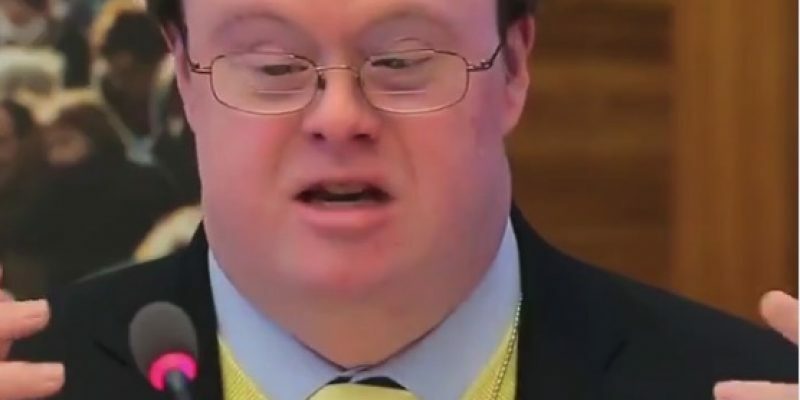 The Stop Discriminating Down and Lejeune Foundation helped give a platform to speak at the United Nations about the meaning of life to a down syndrome man, John Franklin Stephens. He argues that all life has value, including his own. John Franklin Stephens makes this powerful plea before the United Nations: "I don’t need to be eradicated. I don’t need to be cured. I need to be loved, valued, educated and, sometimes, helped." In case Cuomo and New York legislators didn’t know this, people like John Franklin Stephens were exterminated in Nazi concentration camps. Still, today, women are given the choice to have an amniocentesis test performed to determine any genetic markers that could identify their baby as being deformed or having any physical disorders or having down syndrome. If identified, parents could choose to end that baby’s life by having an abortion. If aborted at a Planned Parenthood, the baby’s body parts are then sold to “research organizations” who then “donate” money to the abortion business.